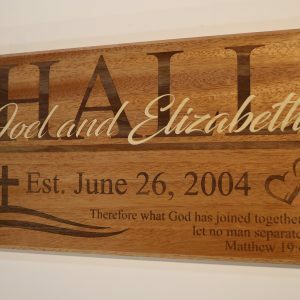 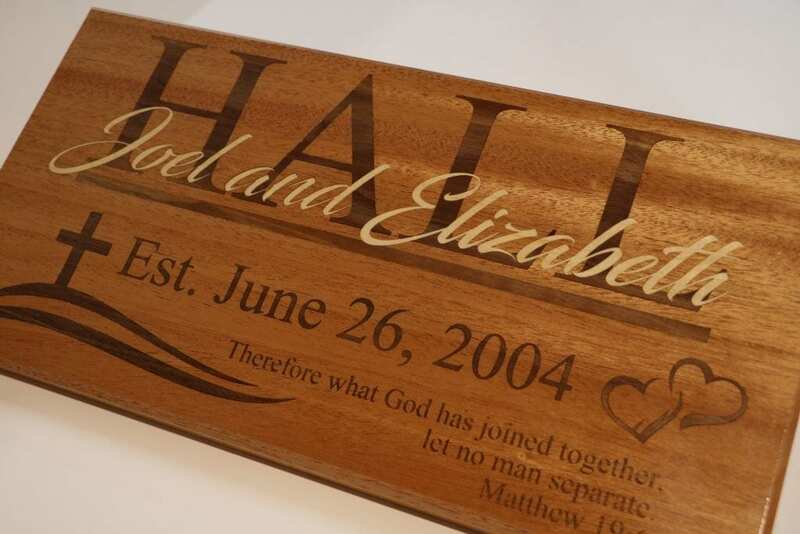 A beautiful Established Family sign created completely with inlays. 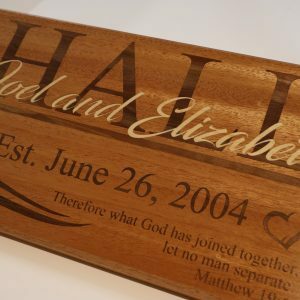 The sign is made from three different hardwoods. 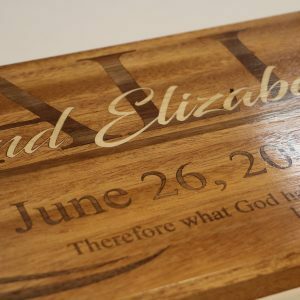 The main wood is Mahogany, the darker inlay is Walnut, and the lighter inlay in Hard Maple.